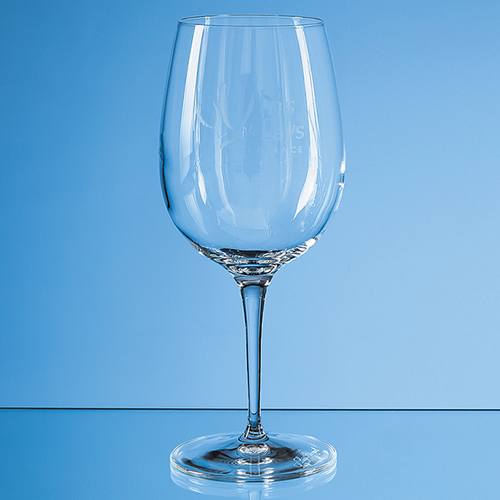 Not only will this elegant long stemmed 480ml Allegro wine glass take a half bottle of wine, but there is space to engrave a message, logo or crest! Its the perfect gift for any occasion. And available as an option is a luxurious blue satin lined presentation box. Dont mind if I do!